A 53-year-old man was struck by a car and injured in West Seattle on Sunday night. Police and first responders arrived at the scene near California Avenue SW and SW Edmunds Street after getting a report of a pedestrian accident, according to the Seattle Fire Department. The man had serious injuries and was taken to Harborview Medical Center. He is now listed in stable condition. Further details are not known at this time. The accident is still under investigation. Unfortunately, there are far too many collisions between vehicles and pedestrians, particularly in Seattle. While pedestrian deaths have declined steeply since the 1970s, from 2008 to 2012, 90 pedestrians were killed and an additional 582 pedestrians were seriously injured in King County. Pedestrian fatalities accounted for 21 percent of all traffic fatalities in the county. In 2014, 473 pedestrian collisions were reported in Seattle, 366 of which were fatal and serious injury collisions. Most pedestrian deaths occur at night, in urban areas, or non-intersection locations, and almost half of all pedestrian collisions occur on the weekend - Friday, Saturday or Sunday night - when foot traffic is heaviest. The Seattle mayor’s office and the Seattle Department of Transportation are in the early stages of a $22 million plan to make pedestrian improvements in the city. While the plan is on a 20-year timeline, the hope is that pedestrian accidents in the congested metropolitan area can be significantly curbed. Other cities that have undergone similar pedestrian projects have seen traffic deaths fall by up to 70 percent in a few decades. Many pedestrian accidents could have been prevented by safety improvements - better markings and warning lights at crossings, reduced speed limits, etc. 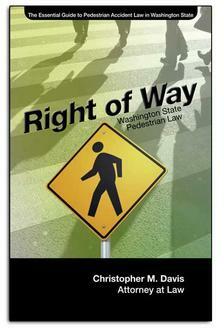 The legal concept of “right of way” refers to the right one party has over another to proceed safety on the roadway. 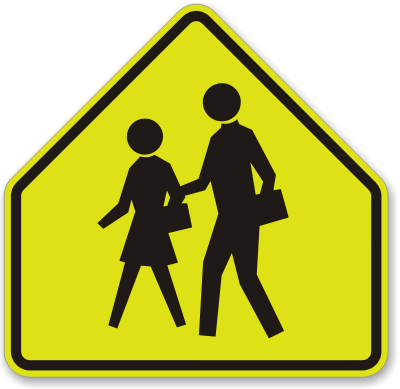 Usually the right of way is obvious with signs or signals that tell pedestrians and drivers what to do. In other situations where there’s no signals, the law spells out who has the right of way. Many drivers assume that they have right of way, even if there’s no sign or signal. Consulting with an experienced personal injury attorney with a strong track record representing pedestrian accident victims is a smart decision. Attorney Chris Davis, the founder of Seattle-based Davis Law Group, P.S., has over 25 years of experience dealing with the complexities of pedestrian accidents. He’s represented dozens of victims in very high-profile cases, fighting to get his clients the compensation they deserve. Let us help you get your life back on track and recover the fair level of compensation that you deserve. Call our office today at (206) 727-4000 or contact us online with the form on this page.